What is precision saw cutting? At Eaton Steel Bar Company, we employ Kasto and Tsune cold saws that use a machined circular saw blade that is both accurate and fast. These saws are suited for high volume, repeating applications with excellent reliability. Precision saw cutting is used to supply gram weight tolerance, precision-cut parts that are ready for a forging machine or machining center. Our precision cold saws are equipped as needed with robots that handle the material and load the finished parts per your packaging specifications. Eaton Steel Bar Company also supplies parts from Kasto band saws. 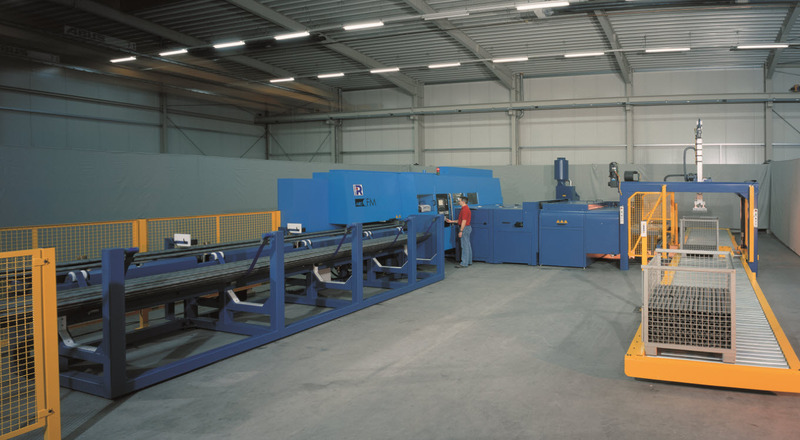 Band saws use a long blade which provides the ability to accurately cut a wide range of diameter and even cut entire bundles of steel at one time. Band saws are designed for lower volume jobs due to their quick set up time. In addition to the cold saws and bands saws, Eaton Steel has tool machine cutting centers that incorporate chamfering, facing, and parts washing and drying. These precision machine centers are designed for high volume, precision applications. We cut all the steel we sell and provide toll processing for customer-owned material. Please request a quote to contact one of our sales representatives to quote your precision-cut parts needs. Cold Saw .625" 6.00" 80" +/- .008"
Band Saw .500" 24.00" 180" +/- .125"